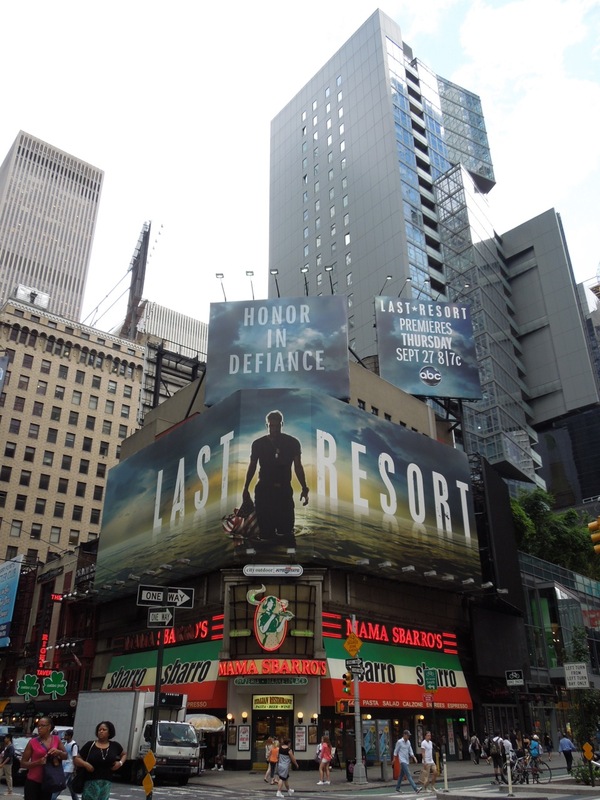 You can tell when it's the new TV season, when the shows have a more and more complex premise. 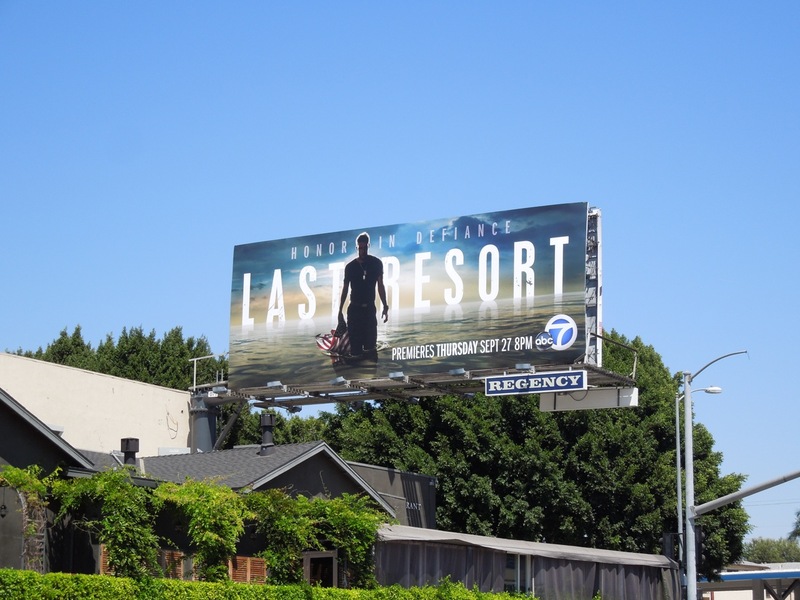 Take for example ABC's Last Resort. When the U.S. submarine Colorado refuses to their fire nuclear weapons at Pakistan after receiving questionable orders, they are fired upon and branded enemies of the state. 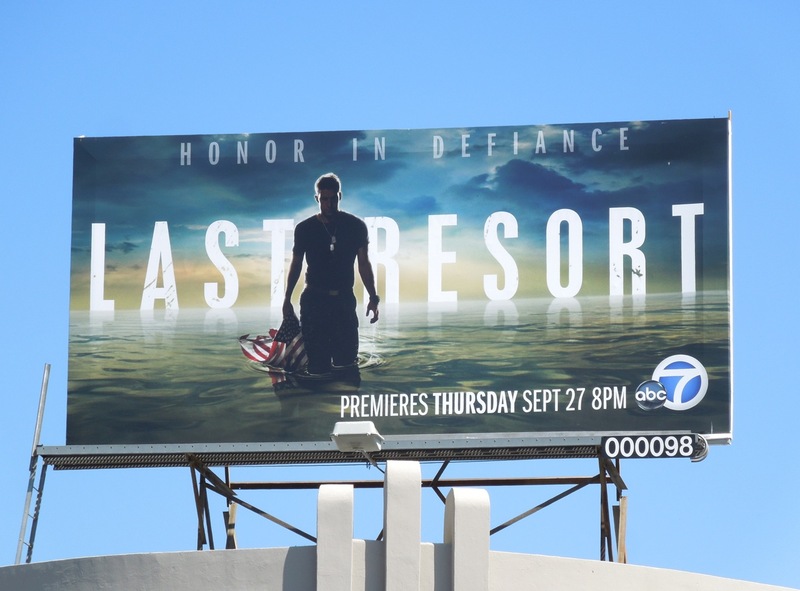 Their craft damaged, they escape to an exotic island where they take refuge and plan to clear their names and get home. 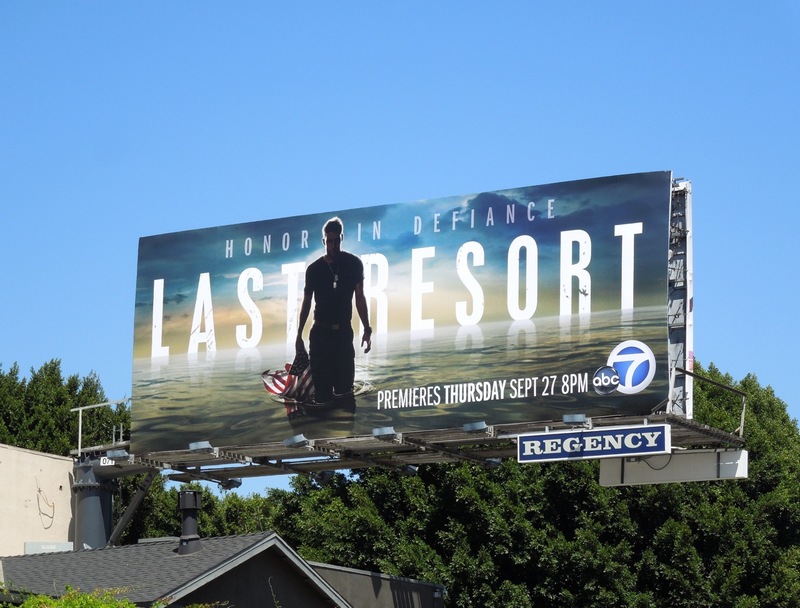 This suitably patriotic, yet shrouded in mystery, billboard creative was snapped along Sunset Boulevard at Crescent Heights Boulevard on August 14, 2012. 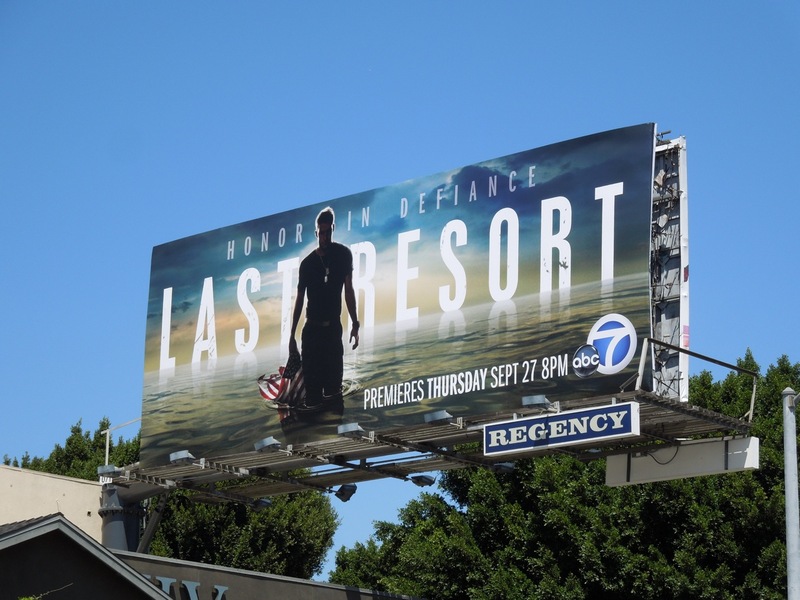 Hmm, Daily Billboard wonders if they end up on the same Hawaiian island used in Lost? 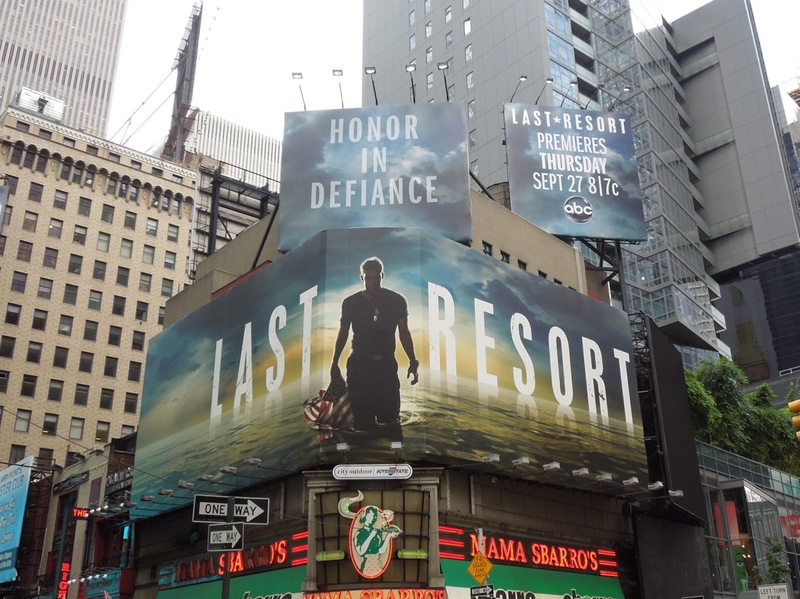 UPDATED: Regardless of where the series is set or filmed, here's some additional support for ABC's new thriller, along Broadway and West 49th Street in the heart of New York City's Times Square, spied on August 27, 2012. 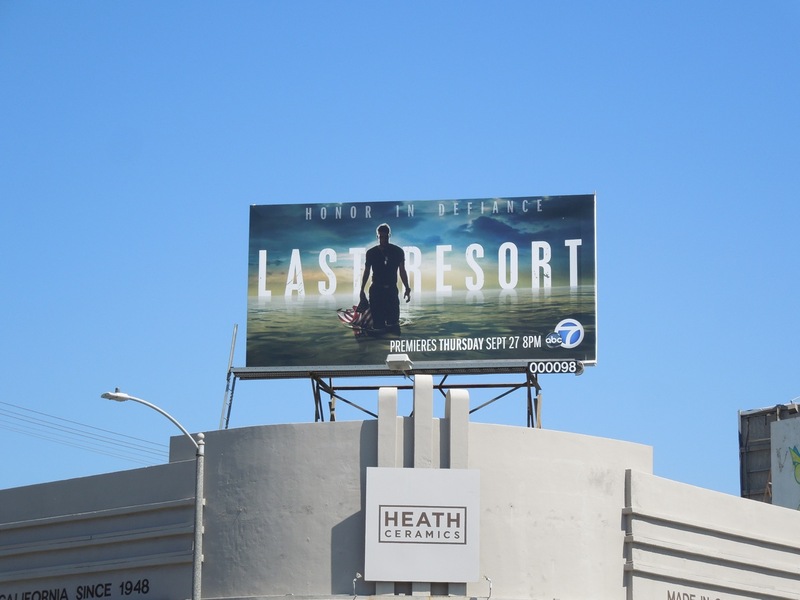 UPDATED: Here's a great mini-version of the landscape billboard creative snapped along L.A.'s Beverly Boulevard on September 24, 2012.